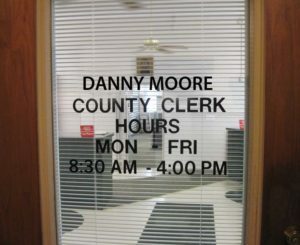 The Clerk of the County Commission functions as an election officer, preparing the ballot, conducting absentee voting, obtaining and training poll workers and counting ballots, and performing other election-related duties. • Courthouse Records Room(s): The clerk records deeds, liens, births, marriages, deaths and other judgments, files wills, and maintains all orders from the County Commission. Call (304) 255-9123 for more information.